The ability to grow and bear a child is one of the most amazing and beautiful things about womanhood. 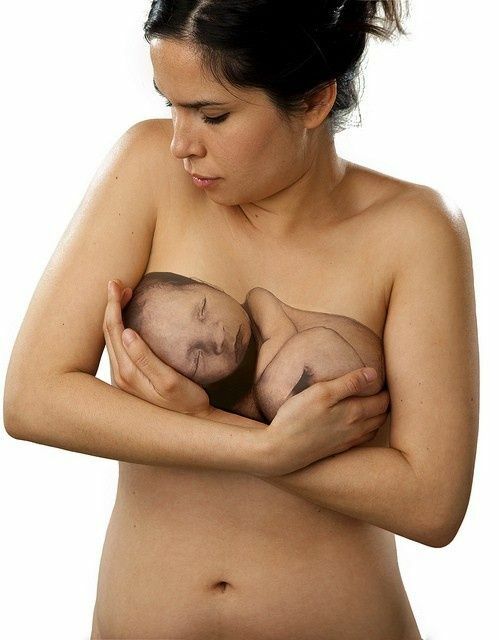 This body painting design makes it look as though a woman is holding a newborn child against her chest, while her breasts have actually been painted with a tasteful piece of art that captures the natural female ability to nurture and provide. 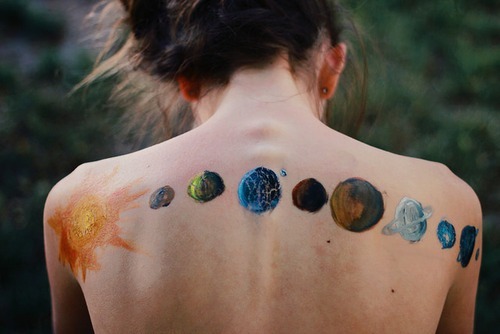 Become one with the universe by having this solar system design painted along your upper back. The delicacy and grace of the female body makes this sketch look especially lovely on a woman’s frame.